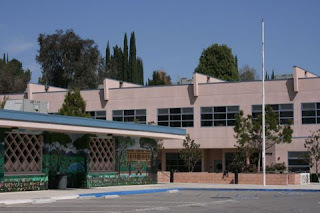 Mrs. Yollis' Classroom Blog: Welcome Back, 2012! new students in our second and third grade classroom! I hope that all my former third graders have a wonderful fourth grade experience and come visit me soon! 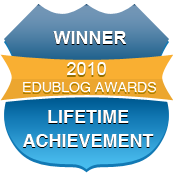 Parents, here is a blog post I wrote about the rewards of teaching young students to blog. If you are a new student, please leave a comment telling me about yourself. What did you do over your summer break? What adventures and experiences did you enjoyed? We are a grade 2 class from Melbourne, Australia. We love reading Mrs Yollis' classroom blog and it has helped to teach us a lot about responsible blogging. We hope you have a fantastic start to the year although we are sure you will. Thanks so much for taking the time to drop us a comment! You are officially our first comment of the year! :-) How great that our first comment comes from the southern hemisphere! I love blogging! Our summer is wrapping up and fall will begin soon in the northern hemisphere. The temperatures are still quite hot, so students are wearing lots of shorts and t-shirts to stay cool. How is the weather where you are? Thank you for replying. The weather at the moment is a bit cold but we are nearing the end of winter so it's not as cold as it has been. We are wearing jumpers, pants, scarves and beanies but we won't need them for much longer. Today it is supposed to be 18C. We look forward to reading about all the wonderful things that your students have done on the holidays. Our holidays are different to yours, we get another 2 week holiday in about 4 weeks. I had an awesome summer too! I did lots of fun stuff with my grandparents who came here from North Carolina. We went swimming, to museums, to the movies and much more. I'm feeling great about coming back to school. I am excited about being in your class. Tucker told me a lot about it. You are officially the first student to leave a comment on our class blog! I'm not surprised! I remember that Tucker was a fabulous blogger and so was your grandmother! 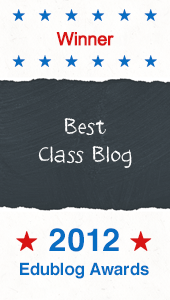 Here is a link to a special post we did to honor her contributions to our class blog. Which museum did you visit? I went to the Getty Museum this summer with Mrs. Chalfin. Here is a photo of the Getty Garden. Isn't it beautiful? I am excited about having you in my classroom! See you tomorrow! 4KM and 4KJ at Leopold Primary School. My class has been blogging buddies with Mrs Yollis' class since 2009 so this is our fourth year of friendship! We have worked on lots of projects together but until this year, Mrs Yollis and I had never met in person. Over your summer, I travelled to the USA and presented with Mrs Yollis at a conference in San Diego called ISTE. It was so much fun to meet Mrs Yollis, Mr Yollis, Buck and lots of the teachers, students and parents who I had got to know through blogging! Our students are nine and ten years old. We have 27 students in 4KM and 26 students in 4KJ. While you have been enjoying your summer holiday, we have been busy at school. We have missed our blogging buddies from the northern hemisphere! You are all so lucky to have Mrs Yollis as your teacher. She is an amazing teacher and you are all going to have a fabulous year! What are you looking forward to about the 2012/2013 school year? What a perfect comment from my global project pal from Down Under! You told us where you are from, have hyperlinks (links you can click to take you to a page with more information), and end with a relevant question. You are a wonderful model for my students! It was such a delight to have you and your husband stay at our house in June! You are a wonderful teacher and friend, and you're even more fun in person! I am looking forward to meeting my new students tomorrow! We shall start on our blogging skills right away. Thanks for your kind words and your constant support! My name is Jenna. I'm so happy to be in your class this year! I'm really excited to blog for the first time! I had an amazing summer too.First, I went to Hawaii and we went to Turtle Beach and saw so many sea turtles. Later, I went "glamping" at El Captain. "Glamping" is what my mom calls fancy camping in a cabin. I also went to art camp. I had a really fun summer! My name is Bryce. I had a great summer. I went on a cruise with my cousins from New York. I also saw 4 baseball games with my dad in St. Louis and Kansas City. I lost my 4th tooth on my trip. I am excited to be in your class. It sounds like you had a wonderful summer filled with adventure! You said you went on a cruise from New York. Where did the ship go? I'm excited to meet you tomorrow! The ship went to the Bahamas from New York. Hi my name is Peter and I will be a second grader. I am 7 years old. This summer I went to Wisconsin for 3 weeks to visit family. I love playing sports, doing math and reading. I am excited to meet you. You mentioned you love reading. What book are you reading right now? Thank you for commenting back to me. You asked me what book I am reading. I am loving the book called Magic Tree House: Lions at Lunchtime. Jack and Annie travel to the desert in Africa, and they see giraffes. I can't wait to see how it ends. I'm sure we'll have a great year together! Hi. My name is Mallory and I am almost 9 years old. I have a younger brother and sister. I am excited to meet you tomorrow. This summer I went to New York to see my family. My favorite part was going to Dylan's Candy Bar. I like doing art projects and writing. I want to know more about your dog. What kind of dog is Buck? What a pleasure it has been to get to know you this first week! I loved how you took care of that spider when we were all sitting on the rug sharing information. Some people were scared, but you just handled the situation. I love that! It sounds like you had a wonderful time in New York. Did you go to any famous places like Central Park or the Statue of Liberty? My dog Buck is a yellow Labrador retriever. We got him back in February and you can see photos of him as a puppy on the 366 blog. He is now eight months old and weighs 80 pounds! Although he's big, he still act very much like a puppy! You you have any pets? I so happy that you are my teacher! I had a great summer. First I went to my grandparents house in Georgia. We got to play with my uncle's dog Jobin who lives there. I visited My Nana in Pearson Georgia. Then I went to my grandparents beach house in Florida. Some of my cousins, aunts and uncles came and we had alot of fun! We swam, played in the sand and watched movies. I am so excited to comment on a blog for the first time! This is Miss Schubert. It was so nice to meet you today! Georgia is a state that I have always wanted to visit because I love to cook and want to visit Paul Dean's Restaurant. It must have been nice to spend time with your family. I love spending time with my family, we always have a great time together. Thank you for helping me learn about blogging. I'm looking forward to learning more tomorrow. I can't wait to see you tomorrow. I am Chloe. I am 7 1/2 years old. I am happy to be in your class. I would like to know what your four global projects are. Over the summer I went to Pennsylvania and New York. It was very fun. I am happy you told us to remember to recycle from our supplies. In the Calabasas City recycling calendar I am on August. I hope that we could recylce a lot in our classroom. I am very happy to meet you. You are a terrific student, and I am so glad you are in my class this year! You asked about the four global projects. These were blog projects that I did with Mrs. Morris, Miss Jordan, Mrs. McKenzie and some other teachers from around the world. I can show them to you next week if you'd like. I'm sure we'll be doing another one this year. I'd love to see your recycling calendar artwork! Congratulations on being selected? How can we set up some recycling in our classroom? Hi my name is Sean. This summer I went to visit my grandparents in Denmark. I was there for four weeks and had fun with my younger cousins. They only spoke to me in Danish so I learned a little bit of Danish. My grandmother knitted me a scarf and a beanie in the Los Angeles Lakers colors. I also went to basketball camp with some of my friends from school, it was a lot of fun. I am excited to come back to school and be in your class. What a terrific comment, Sean! I love how you capitalized all the proper nouns like Denmark, Danish, and the Los Angeles Lakers. Well done! I would love for you to teach us a little Danish! Maybe some greeting for the office staff. Could you do that? Let's put a pin on our map so everyone can learn about Denmark. Dear Mrs Yollis and your new students. Welcome back to school! I would like to introduce myself to you all. I am from Australia/Geelong. I first was introduced to blogging by Mrs Morris and that was about 2 and half years ago and I haven't looked back. I first visited Mrs Yollis blog back then and have made it a point of always wanting to leave quality comments on her class blog. I am so excited that you have got Mrs Yollis as your teacher for I know that you are all going to have a wonderful year of learning. Hopefully I will be with you all again for another year too. You are so very lucky to have such an awesome teacher. I really enjoyed reading all the fun stuff you did over your summer holidays. Happy blogging and learning everyone. Hello my name is Bianca and I have been blogging for 2 years now. I am in Grade 4 in Australia. I have my own blog which is http://biancasblog.global2.vic.edu.au/. You may like to check my blog out. My favourite colours are blue and aqua. My lucky number is 14. My favourite things are to blog and play my ipod touch also go outside. I am excited that you are all going to be back at school. I am Mrs Mckenzie and I teach a class called B4 in New Zealand. Our blog is called Open the Door to B4 . We have been blogging buddies with Mrs Yollis' classes for about two years. The children in B4 are Year 2 and they are 6 and 7 years old. We are halfway through our school year, which started in February and goes until December. We are looking forward to meeting all of you and sharing some learning together. My name is Panda, and I am your blogging mascot. I like to hang out near the blogging map where I can think about my blogging buddies. Nice to meet you! Where do you like to hang out? I am the super hero of your classroom and maybe the universe! I have been with Mrs. Yollis since she started teaching twenty-six years ago. My best friend is Beverly. She is a large brown bear who hibernates a lot. Consequently, she misses a lot of information. She is getting better. I am a pole vaulter. When I vault, I use bamboo. I run down the track and when I get near the pole, I'm often tired and hungry. Sadly, I often eat the bamboo pole before I vault, so I'm not very good at it. I am excellent at paying attention and using proper punctuation. For example, only use one exclamation mark. If you want to show more excitement, use more words not more exclamation marks! My name is Jenna. It's nice to meet you too. I like to hang out at home. Wow! You have been with Mrs. Yollis for a long time! I bet you have learned alot from her. How long have you and Beverly been friends? I saw pole vaulting on T.V. at the Olympics. Maybe, if you use a longer bamboo pole, before you get to the vault, you will be full and still have bamboo left to vault with! I'm excellent at paying attention too and I hope to learn more from Mrs. Yollis. I like to hanging out in my pool because it's very fun and refreshing. Hello My name is Olivia and I will follow your blog. It sounds like you will have a good year. I am from 4KM and really want to know your new kids . My name is Travis and I play baseball and cricket. I live in Australia. I like sports that are not popular. Mrs Yollis, this post is so nice,I mean, what an awesome post. Oh, I almost forgot to introduce my self, I'm Charlotte and I'm in 4kJ, you know your blogging buddy's from the Aussie country. One more thing... I wish I was in summer right now! Hi, I'm Miss Jordan from Australia! You will know about 4KM and 4KJ from Mrs Morris' earlier comment. How exciting that you are starting a brand new school year! Of course it seems a little unusual to us, as our school year begins in January. That's just one of the differences between life for you and life for us! Everyone in 4KM and 4KJ is looking forward to "meeting" all of you through the wonderful world of blogging. I hope you enjoy your first week with Mrs Yollis, she is a wonderful teacher! My favorite part of the day was seeing my friends. I really enjoyed your Welcome Back video. I am really excited to read all the comments from your new student and your blogging buddies. 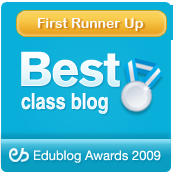 I have made so many new blogging friends through your class, such as BB. I will continue to visit your blog and leave comments. For your new students, I am in 4th grade this year (and had Mrs. Yollis last year), and was very lucky to earn my own blog. Blogging is a big part of my life. I also enjoy gymnastics, playing the piano, and the violin. 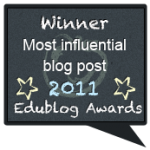 I am so excited to learn more about your students, and see them become great bloggers! I am a former student of Mrs. Yollis, and I am now in fifth grade. I love to blog and thanks to Mrs. Yollis, I earned my own blog. I have made so many great blogging buddies from all around the world. I have many hobbies such as swimming, running, playing piano and of course blogging. I look forward to seeing what new things you will learn this year. Enjoy your school year! My name is Collin. Over summer break I went to Italy. In Italy I went to Bellagio, Lucca, Tuscany and Rome. My favorite part was Tuscany because we stayed in a lovely villa in the mountains. We also took a lot of day trips to different cities. My favorite part was having a private chef. In Rome I saw the Coliseum and the Sistine Chapel in the Vatican. Welcome Back to School! I hope you are all ready to have a wonderful year in Mrs. Yollis' class. I loved hearing what you did during the summer. I imagine that Buck thinks it's pretty terrific to swim in the pool. My dog Reese HATES water, so he and Buck are not similar in that way. My favorite part of your video was your silent reading homework assignment! You know I love books and reading! I would love to know what books the students brought with them,. Perhaps they have some recommendations for our school library! I look forward to another year of blogging with you! Welcome back! I hope you all had a terrific summer and are ready for a great year at Chaparral. I took my son Sean (age 7) and daughter Kearston (age 8) surfing this summer at Malibu. We all had a blast. You are in terrific hands with Mrs. Yollis as your teacher! She was our teacher of the year last year. She is the best. Have a great year! I'll try to come by and visit soon. Your 2012/2013 year together is beginning. I think you have some fun learning adventures in this school year as you explore the world through blogs and Skype. During this school year, you will probably see me dropping in to your class blog a number of times. One of my interests includes commenting on student blogs around the world. Our school holidays are just about to start here in Australia. I am a student blogger and i am also part of a class blog. If you want to check my blog out here is the link. Please leave a comment and my class blog link is here. Please leave a comment our class loves new comment's and visitors,we are trying to make our clustrmap grow. I (as in my student blog) have signed up for the student blogging challenge that start's in early September. Our class has signed up in quad blogging witch is 4 blogs in 1 group. As you can see on our class blog we celebrated book week. Book week is were there are winning book's in a different category's. For example the early child hood book's. We had to choose some one who inspires us or a team that inspires us. There was a mix of sporting people, authors, family,cook's and team's. I chose my boxing coach Grant Brown, he played for the Australian boxing team. I chose grant because he teaches kids to train hard, don't do allegle thing's don't smoke or drink and you will go far. Grant is now a boxing coach and he train's over 100 kids every 2 weeks.That's it I don't want you guy's having to read any more but don't forget to visit mine and my class's blog. I hope you all have a wonderful year and I hope we will get to know each other very well. I have got my own class blog! If you search: miss-mollys-blog.blogspot.co.nz, I'm sure you'll find it. Maybe if you're lucky enough, you'll get a blog of your own! I'm Mrs Robinson from Melbourne, Australia! WOW! Another exciting start to a brand new school year! We are in the middle of Term 3 as we begin our school in January. Our summer vacation starts at Christmas and continues through January. 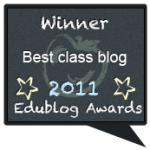 I am looking forward to sharing your blog and learning with the Grade 1's that I teach. Enjoy your first week back at school and I look forward to reading about your year. I am so glad that I am in your class this year. Over summer break I went to Santa Barbara and Santa Rosa, Florida. On the trips I got to see some of my family that lives far away from here. I had so much fun. I am sad summer break is over, but I am happy to see my friends at school.